Winter is here, which means you may be busy prepping fun, winter-themed centers and activities to use in your classroom. While penguins certainly don’t have to be just a winter theme, they often make an appearance around January in classrooms! 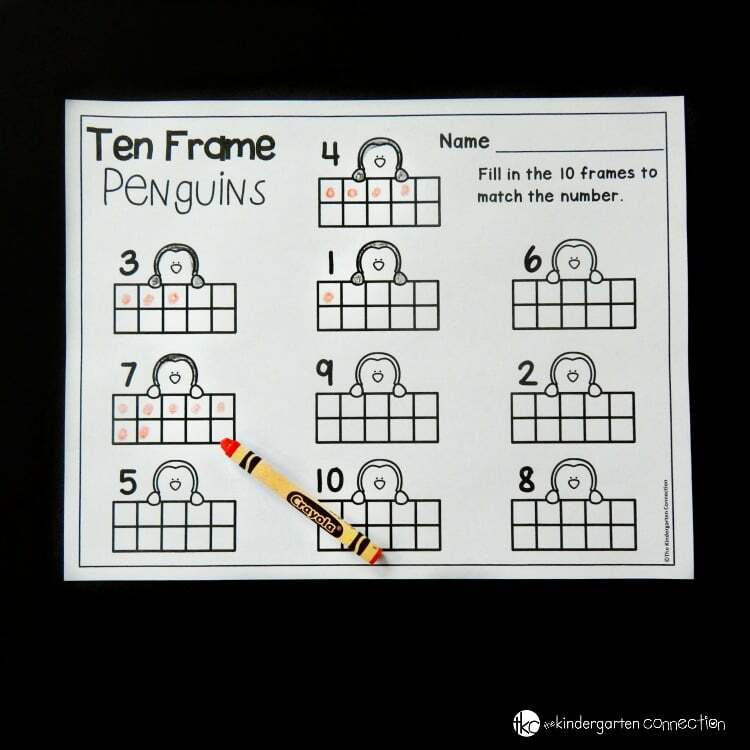 This penguin ten frame printable is perfect for working on number recognition, counting, and ten frames with Pre-K and Kindergarten students this winter! 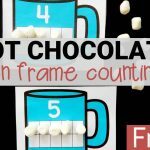 This ten frame printable is a super easy-prep morning work activity, early finisher activity, and it can even work in a math center, too. 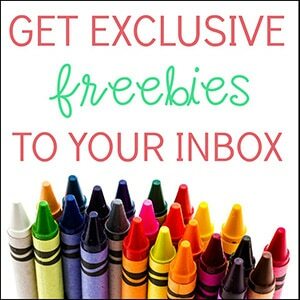 All you need is the ten frame sheet (at the end of the post) and some colorful crayons! 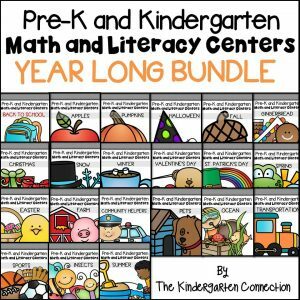 I added this to a math bin for a math center choice, and my kids worked on reading the numbers next to to the penguins, and then coloring in the matching number of dots in the ten frame. We practiced filling in the dots top to bottom, left to right, however I want to encourage you to allow your students the freedom to fill their ten frame in other ways. 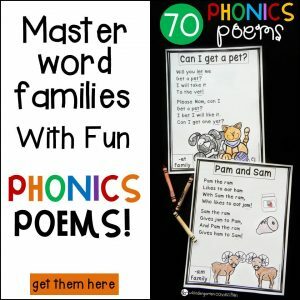 There are some disagreements among teachers about this, but remember that subitizing is an important skill (recognizing sets of numbers instantly without counting), and if students are experimenting with filling ten frames correctly in other ways, they just may be strengthening that skill of seeing numbers represented in multiple ways. Just some food for thought! 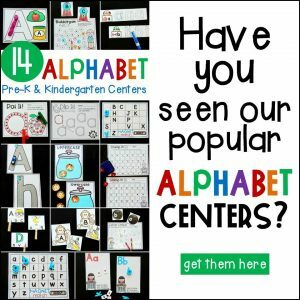 No matter how you fill them – your students are sure to have fun counting and coloring ten frames! Ready for some ten frame fun? 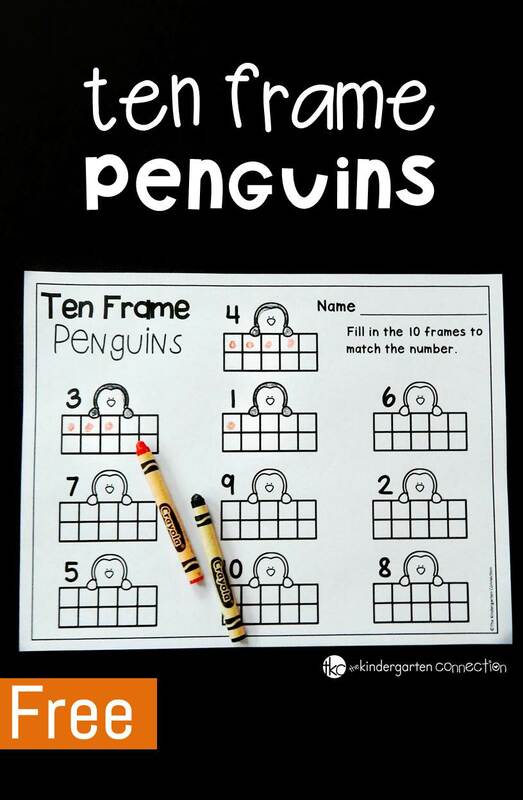 Grab your copy of the penguin ten frame printable by clicking the yellow button below. 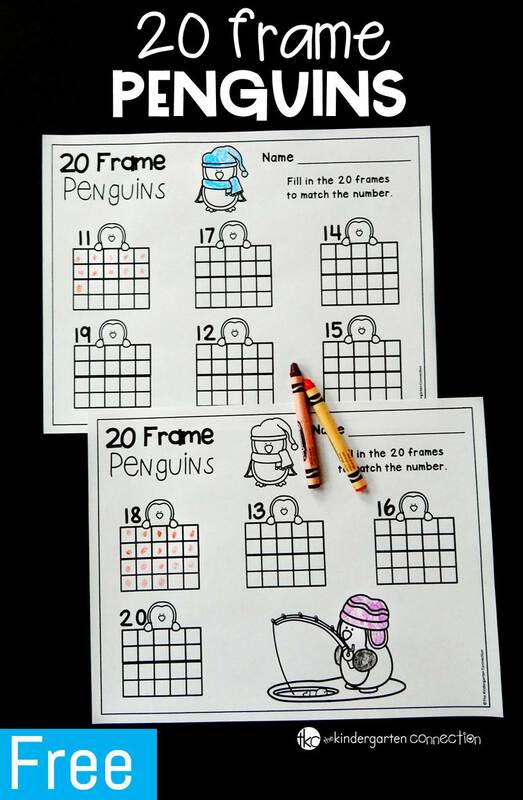 Then, if your students are ready for a bit more of a challenge, work on those tricky teens with our penguin 20 frame printables!